Located just few meters from Bien-Air Dental in Bienne, the new building will be dedicated to office and laboratory spaces for Bien-Air Surgery and young, innovative start-ups. 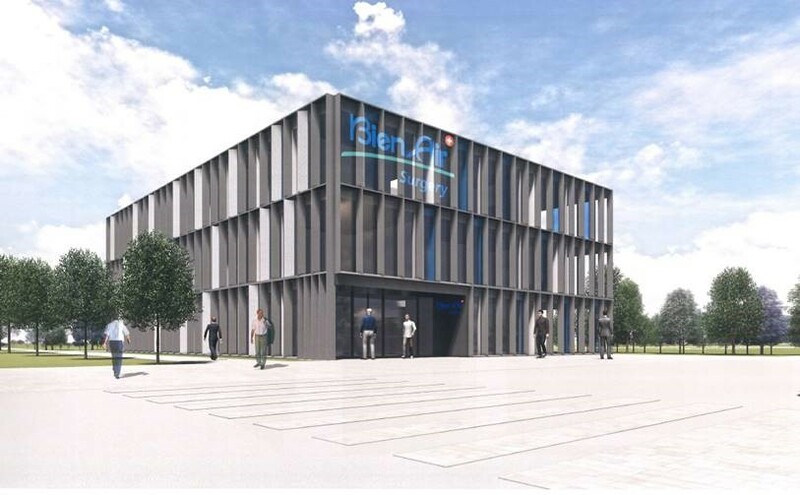 With a surface area of approximately 2400 square meters, the new building will accommodate on the ground floor, reception, prototyping workshop, training rooms and showroom and on the first floor, conference rooms and offices for young start-ups. A modern office space on the second floor will be fully occupied by Bien-Air Surgery. Here is where Sales, Marketing, Administration and R&D departments will move once the works are finished. The construction officially started early February 2019 and the expected delivery is planned for the end of 2020.